Flyweight Wilson Reis is unsure of his future in the Octagon ahead of his bout at UFC 236. 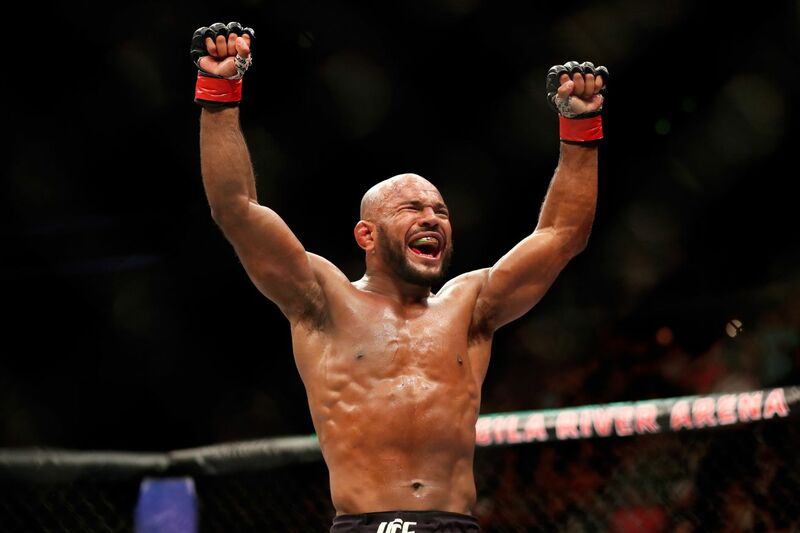 Flyweight contender Wilson Reis is unsure about his future in the UFC ever since rumors of his weight class being dissolved started to emerge in the past few months. Only a few days away of a bout against Alexandre Pantoja at UFC 236, the Brazilian expressed his concern to Combate. During the interview, Reis not only explained how the UFC doesn’t let fighters in on the entire situation, but also how he feels like the end of the flyweight division could come as soon as the next months. Currently coming off of a unanimous decision over Ben Nguyen in December 2018, Reis was on a three-fight losing skid before the victory. During that time, the 34-year-old lost to some of the biggest names in his division — John Moraga, Henry Cejudo, and Demetrious Johnson. Reis vs. Pantoja will happen on the prelims of UFC 236, in Atlanta, Georgia, on April 13. The card will be headlined by a fight for the interim lightweight title between the current featherweight champion Max Holloway and contender Dustin Poirier.